Ever wanted to run your own experiment in space? Then you’re in luck! ESA Education, in collaboration with the Raspberry Pi Foundation, is pleased to announce the launch of the 2018/2019 European Astro Pi Challenge! 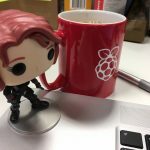 Astro Pi returns for a new 2018/19 challenge! In this challenge, we offer students and young people the amazing opportunity to conduct scientific investigations in space by writing computer programs that run on Astro Pis — special Raspberry Pi computers aboard the International Space Station (ISS). 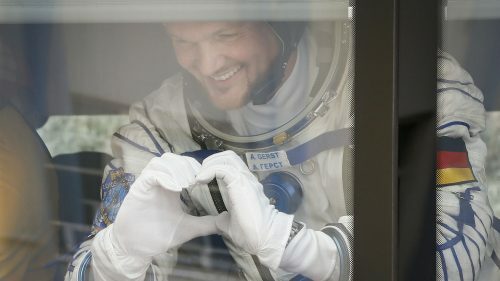 ESA astronaut Alexander Gerst and CSA astronaut David Saint-Jacques are the Challenge’s ambassadors. They will accompany our Astro Pis on the ISS and oversee your programs while these run and collect scientific data. 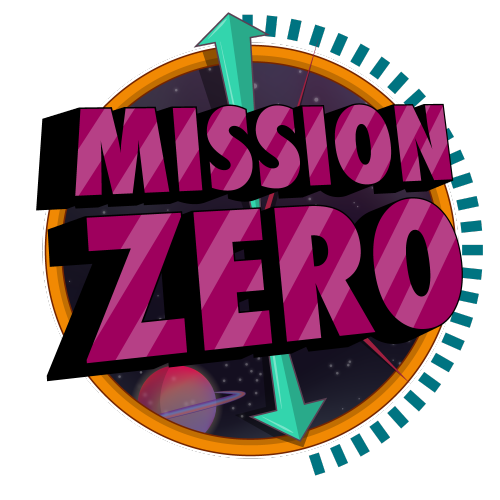 Two missions are part of the Astro Pi Challenge: Mission Zero and Mission Space Lab. Mission Space Lab opens today! If you are 19 or younger and live in an ESA Member or Associate Member State*, we invite you to form a team with at least one friend of yours and apply to the Astro Pi Challenge’s Mission Space Lab by sending us your experiment idea by the end of October. We can’t wait to see your ideas! Mission Space Lab gives you the chance to have your scientific experiment run on the ISS. Your challenge is to design and code an experiment using the environmental sensors and cameras of the Astro Pi computers, called Ed and Izzy, aboard the ISS. You can choose between two themes for your experiment: Life in space and Life on Earth. If you pick the ‘Life on Earth’ theme, you’ll use the Astro Pi computer Izzy, fitted with a near-infrared camera facing out of an ISS window, to study the Earth. 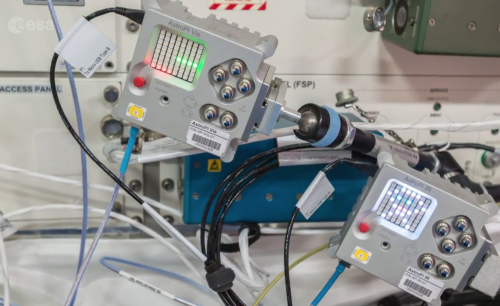 For ‘Life in space’, you’ll use the Astro Pi computer Ed, which is equipped with a camera for light sensing, and investigate life inside the Columbus module of the ISS. The best experiments will be deployed on the ISS, and you’ll have the opportunity to analyse your experimental data to write a report with your results. 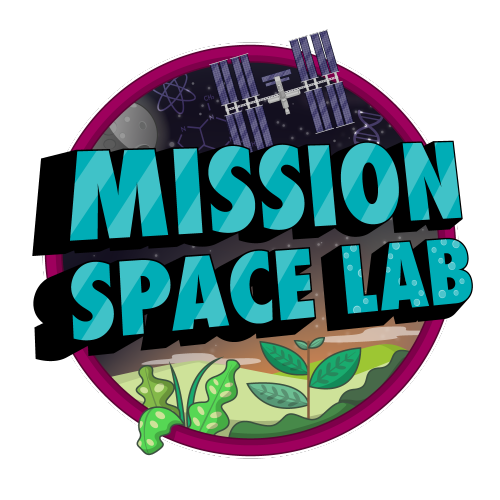 The ten teams who send us the best reports will become the Astro Pi Mission Space Lab 2018/2019 winners! In the first phase, Design, you just need an idea for an experiment. You won’t need to do any coding yet, but you should think about how you might write the program for your experiment to make sure your goal is achievable. Have a look at our Astro Pi Mission Space Lab guidelines for everything you need to know to take part the challenge. Your deadline to register and submit your idea via the Astro Pi website is 29 October 2018. We will select teams and notify them of their acceptance to Phase 2 of Mission Space Lab by mid-November 2018. Mission Zero, the simpler level of the Astro Pi Challenge, also offers you the chance to have something you’ve coded run on the ISS, in the form of a simple program that displays a message to the astronauts on-board. For this mission, you don’t need special equipment and you can be a complete beginner at coding; if your entry follows a few simple rules, it’s guaranteed to run in space! If you are 14 or younger and live in an ESA Member or Associate Member State*, we would like you to take part in Mission Zero. You can submit your program from 29 October 2018 onward. For more details, head to the Mission Zero page. What is the Astro Pi Challenge? Announcing the 2018-19 European Astro Pi Challenge in partnership with the European Space Agency (ESA). It’s open to students from all 22 ESA member countries, including associate members Canada and Slovenia. In Mission Zero, students aged up to 14 write a simple Python program that will display a message on the International Space Station for 30 seconds. Do you have to do the challenge as part of a club or school? How long do you have to wait to get your information reported back to you? Also is it 100% free for everyone? Hi Luke, You will receive your data back in May and will then have around a month to write your report. It is 100% free to take part and if you are successful in reaching Phase Two, your team or club will receive a free Astro Pi kit to help you design your experiment. heloo i am from india i take part this compiutation?? Unfortunately the challenge is only open to ESA member and associate member states this year. Unfortunately, teams made of only members from Cooperating States can’t participate in ESA Education programmes. However, only 50% of your team needs to be made up of people from ESA Member/Associate Member countries, so you could try to find some international friends to work with! Don’t worry, we’re leaving the EU, not Europe. …which would require a much bigger sail than anybody currently has.